I’ve often thought this approach would work really well for lots of other things. There’s something really exciting about getting people together and making projects happen. It’s really easy to feel that it’s only special and exceptional people who can run successful projects. I disagree, so here’s the One in Four seven-step guide to putting the right pieces together and starting a project of your own. Most attempts to change the world begin with a sense of injustice. Someone, somewhere realises that something isn’t as it should be. It might be something local, it might be something national, it might be something global. Here lies your first challenge: turning your feelings that something isn’t right into actions that you can take. The first decision you’ll have to make is whether your project is going to be a campaigning projector a doing project. Campaigning projects do great work to bring to light things that need to change but probably don’t do so much to practically make that change happen. They are primarily about one group of people asking another group of people to do something. Doing projects identify something that needs to happen that will make a difference and then go about doing that thing. The important thing is to work out very early on what you and your colleagues actually want to change: lots of people and no idea is as bad as a great idea and no people. Every project needs two things: a strong idea of what it’s doing and a group of people to make it happen. Some start with a very strong idea and then get people together to put it into action. Others start with a strong group of people who then work out what they’d like to do. There aren’t really any rules for the best way to do this. Either way, your project should know what change it’s trying to make happen from the start. 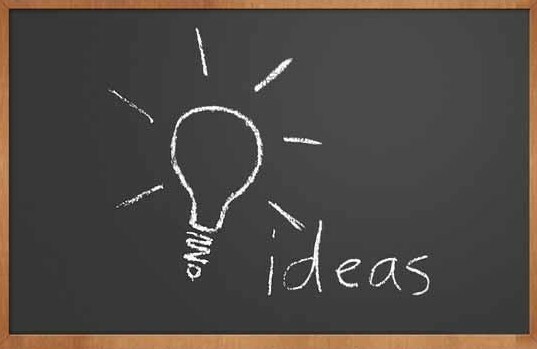 Many great ideas fail to get any further than the back of an envelope or, if you’re posh, the drawing board. This is because in many ways, the hardest stage of any project is converting your overall aim of changing something in the world into practical, achievable steps. There are thousands of people out there with grand plans to revolutionise this thing or that, but their ideas stay as ideas and never get put into practice because they don’t know where to start. Once you have your group together, try to think of which small, practical steps you can take to start you on your path to achieving your aims. If your aim is to help people directly, try helping 10 people before you try to help 1,000. Small steps done well let you learn how to take bigger steps later on. Often the thing that stops us doing things which might benefit ourselves and others is the feeling that we just don’t have the resources to make things happen. You’d be surprised how much a group of people with a shared purpose can get done with very little. The most important resource any project has is the people involved in it. It’s this that provides the energy to make things happen. We read in the news all of the time about projects that have thousands and thousands of pounds, lovely premises and lots of staff who find it hard to get things to happen. Part of this is because the bigger a project is, the more complicated it becomes but it’s also about the people involved. A group of people working together to get something done can be incredibly powerful. It’s very easy to see money as the only issue defining whether something gets done or not. Usually, when you decide what you’re going to do, you won’t have any money but this doesn’t mean your project has no resources. Resources aren’t always financial. What you and your group know is often the difference between being successful or not. Everyone who gets involved with your project will have life experiences, skills, knowledge, ideas and contacts. Once you know what you’re trying to achieve you’ll be able to sit down with your group and work out what you have already and what you need. You might work out that because, say, your project is looking to set up a befriending scheme for people currently under section, that one of the things you most need is a contact at your local mental health ward who can help you set up visits. Or if you want to set up a work club for you and other people to pool your resources and skills to help each other find work, you might reckon that the biggest thing you need is a space to hold it in and a way of getting big boxes of tea and biscuits for cheap. Once you work out what you have, you’ll be able to work out what you need to get. The way to get change going is to find out the minimum you need to get something to happen, because it’s always easier to get a little than a lot. Once you’ve done the hard work of steps one to four, this bit should be easy, but it often isn’t. When you get a group of people together they’ll be excited about making a difference. It’s really easy to put other people, and yourself, off doing something by having too many meetings and doing too much talking. The most difficult point always comes when deciding how to make decisions. I’d suggest that it’s best to have one or two people who co-ordinate things on a practical every-day level, while everyone involved takes bigger decisions about where the project is going and what it should tackle next. Make sure that everyone knows at all times what is and isn’t their responsibility to do. Drawing up a plan of where you need to get to with your project and choosing a date you are working towards works very well as a way of putting into order what needs to happen. When starting something, work with the people you want to, not the people you feel you should. Getting stuff done when you’re getting paid is hard enough; getting stuff done when you’re together voluntarily is even harder, so don’t make it more difficult by trying to make people who don’t co-operate well get on with each other. If you’re a doing project, your job once you know what you’re doing and what you need to make it happen is to try to talk to anyone who might be able to help you, and that means anyone. You need to make friends with as many people as possible who might help you with resources, advice, space, materials or even tea, coffee and biscuits. Most people will at least try to give you a hand if you are clear about what you want them to do, and show that you have at least tried to find out what it is they might be able to help with. If you aren’t clear about what you hope they’ll be able to help with, people will think that it will be too difficult or too much effort to give you support. If you are a campaigning project, your job will be slightly different. You will probably be looking at getting maximum exposure for your cause while trying to influence people into seeing things your way. This mean that there will be some people you wish to make friends with and others that you will probably want to get up the noses of. Remember, though, campaigns need supporters. Just like a doing project, you still want to be making friends and allies at the same time as trying to make change. The worst trap a campaigning project can fall into is seeing everyone as the enemy. Step Seven: Do it and see if it works! There are thousand of tips, tricks, methods and hints about the best way to get things done. When you think about it, most of human life involves some form of inspiration, planning and organising. We all make things happen all of the time. Ultimately, the thing that makes a difference between trying to do something and not is our own fear of failing and looking stupid, or our own doubts about whether we can carry through what we’ve begun. You have to stay positive about the possibility of making a difference without falling into the trap of thinking that believing in what you do is enough. As steps one to six show, believing in an idea is only the start of making it happen. What comes next is getting your hands dirty. Changing things is always a balance between realism and working out what you need to do and the belief that if what you do is good, people will believe in it. The trick is to see the world clearly, and then still believe in the possibility of changing it.